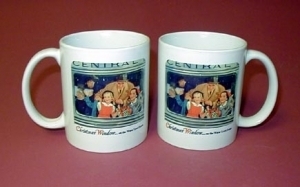 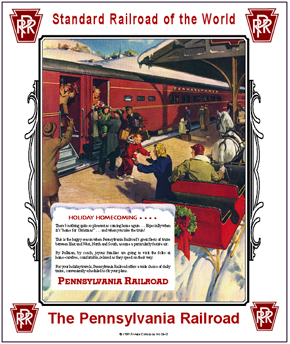 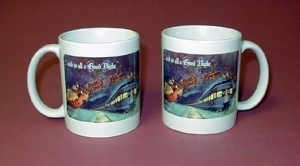 Railroading was a major Christmas player in times gone by, bringing family, neighbors and packages home for the holidays. 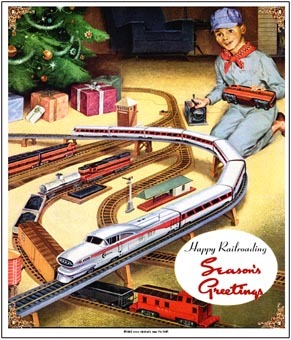 And railroads celebrated Christmas just as much as anyone. 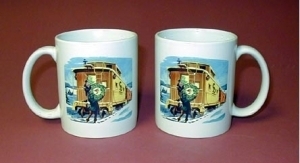 Railroad workers adding a Chessie Christmas Wreath to the back of their caboose with winter snow on the ground. 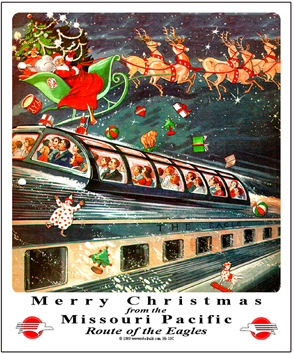 Santa dropping Christmas gifts over a Missouri Pacific Dome car on Christmas Eve Night. A beautiful image. 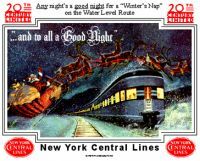 Tin Sign dipicting a scene of days gone by, with a young boy waking up Christmas Morning to the surprise of his life, maybe creating a life long love affair with trains. 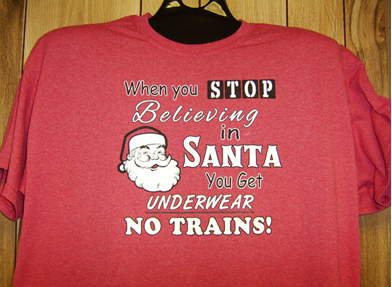 Not a bad thing..... just saying! 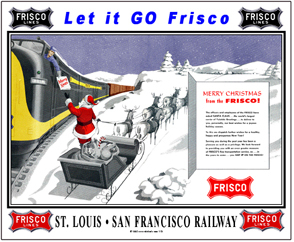 Tin sign featuring Frisco Christmas scene of times gone by. 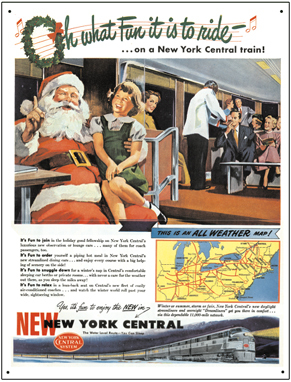 A beautiful time capsul of an old advertisement. 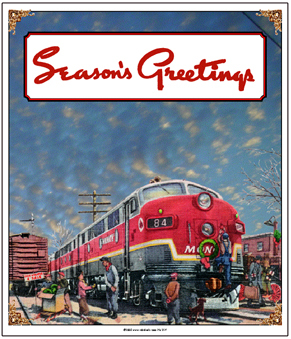 Nostalgic sign of a beautiful MONON train stopped at a local station with kids selling Christmas wreaths to the employees. 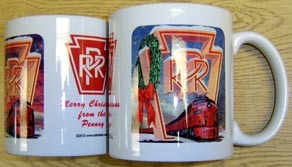 A 1950s era sign of an historic railroad scene. 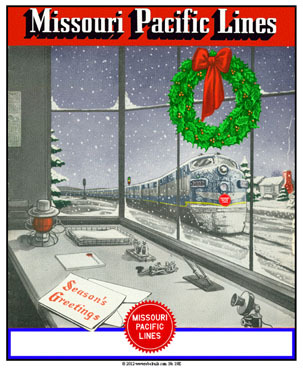 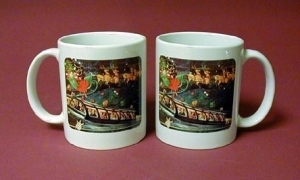 Beautiful and nostalgic tin sign with Santa and his sleigh dropping gifts over a Missouri Pacific dome car full of folks homeward bound for the holidays. 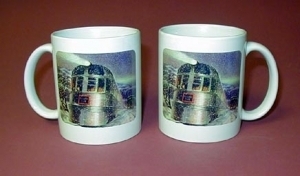 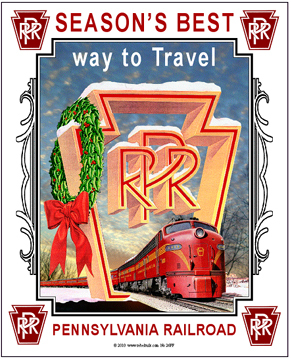 Beautiful and nostalgic tin sign of an Eagle passenger train rolling through the snow, passing a small town station. 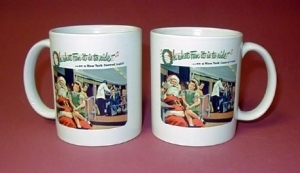 Very 1950s nostalgia. 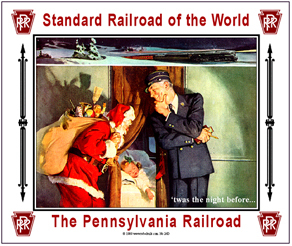 Tin sign illustrates a Pennsy Conductor with Santa Claus delivering packages in a Pennsy Passenger Train. 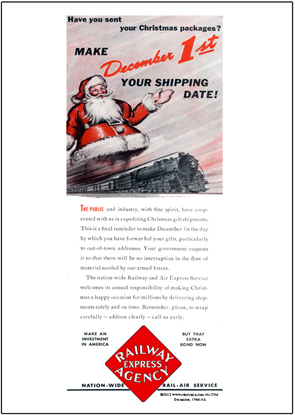 Reproduction of an REA advertisement of Santa reminding folks to get their shipments on the way to the REA by December 1st. 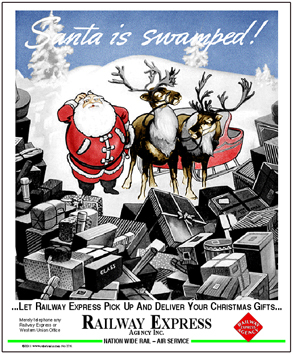 Tin Sign of an advertisement of old Santa being swamped with Christmas packages being shipped via REA.